Top (clockwise) Philippine Secretary of Health Francisco Duque, Ambassador and Permanent Representative to the United Nations in New York Teodoro Locsin Jr., and Philippine Candidate to WHO-Western Pacific Regional Office Director Post Dr. Susan Mercado . Horizontal leadership is what the World Health Organization needs. 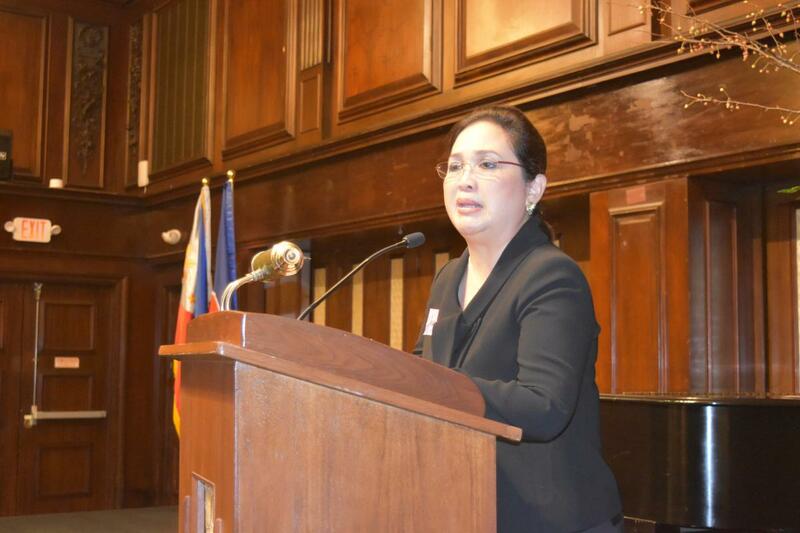 This was the key message of Dr. Susan Mercado, Philippine candidate to the post of Director of the World Health Organization Western Pacific Regional Office (WHO-WPRO) at a reception hosted by the Philippine Government in New York last September 27 at the sidelines of the 73rd UN General Assembly. “I believe that with horizontal leadership, we can link the solutions to the many problems we are facing in the health sector, and this is what the WHO needs to pursue,” said Dr. Mercado to guests at the reception consisting of health officials of the regional member states. According to Dr. Mercado, horizontal leadership is effective in that it allows for engagement, participation, consultation, transparency, accountability and decision-making to thrive in the organization. Through this, solutions can be discussed freely and side by side with all relevant parties and members. Dr. Mercado underscored that if elected, she commits to work side by side with all stakeholders for a better region. “I intend to lead not in front of you, nor behind you, but beside you,” she said. Elections for the position of the WHO-WPRO Director are scheduled on 09 October 2018 in Manila during the Regional Committee Meeting, during which 27 WPRO Member States will cast their votes. 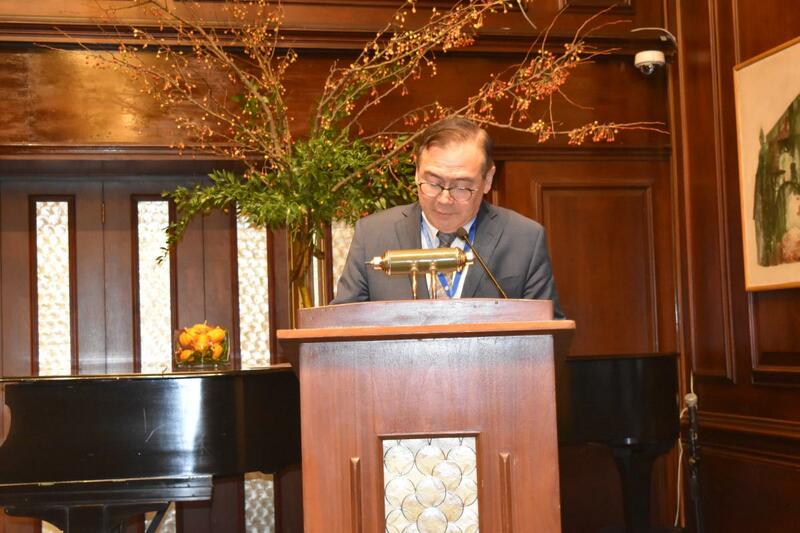 In his welcome remarks, Permanent Representative to the United Nations in New York Ambassador Teodoro Locsin Jr. said that the Government of the Philippines could contribute more to advancing the work of the WHO if it entrusts one of the “best and brightest” Philippine experts to lead its Western Pacific Regional office. 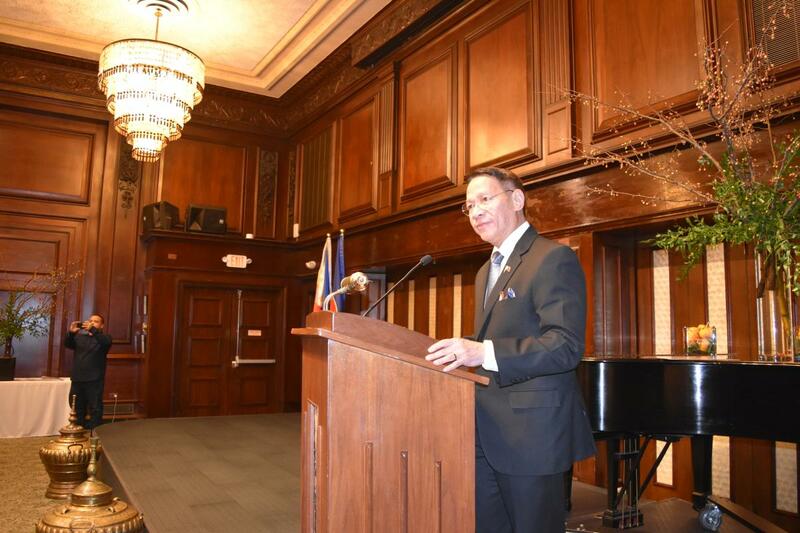 Philippine Secretary of Health Francisco Duque formally presented Dr. Mercado to the guests, and stated that the Philippines is proud to nominate a Filipina to be the first woman WHO Regional Director in the Western Pacific. He stressed that President Rodrigo Roa Duterte designated Dr. Mercado as Special Envoy of the President for Global Health Initiatives, all this is a testament of her solid international work in public health. In this capacity, she works under the Department of Foreign Affairs with DOH on a range of international public health concerns. Dr. Mercado is a medical doctor, with 30 years of experience and dedication to public health. She started in the Philippines as a physician for a non-government organization, working in an urban community in the city of Makati on primary health care and nutrition. She expanded her career in international public health at the WHO, where she served in expert technical positions and then as senior management for more than 15 years. Thereafter, she held several senior positions in WHO, such as Director of the Non-communicable Diseases and Health Division through the Life Course of the WHO Regional Office for the Western Pacific. She was given the Global Filipina Network Award during the 2018 Gala Awards Ceremony at the 15th Filipina Global Summit in London. 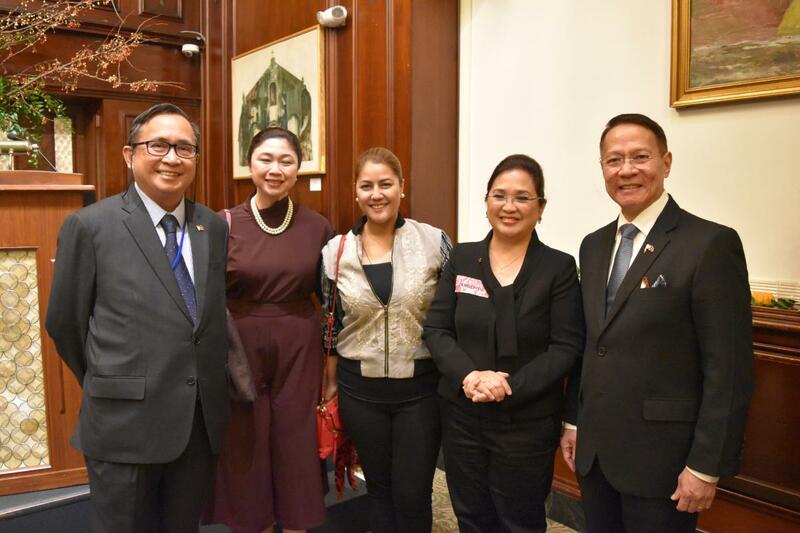 (L-R) Ambassador and Permanent Representative to the United Nations in Geneva Evan Garcia; Spouse of Foreign Affairs Secretary and Mayor of Taguig, Madam Maria Laarni Cayetano; Congresswoman Cristal L. Bagatsing; Philippine Candidate to WHO-Western Regional Office for 2019-2023 Dr. Susan Mercado; and Secretary of Health Francisco Duque.